Ads are on the way to U.S. Instragram feeds, the photo-focused social network announced today. "We have big ideas for the future, and part of making them happen is building Instagram into a sustainable business," the company wrote in a blog post. Becoming "sustainable," tech business-savvy linguists know, is usually code for "yeah, you're going to start seeing ads." Instagram tried to soft step the intrusion by saying users "may begin seeing an occasional ad" over the next couple of months. The Facebook-owned company will be gentle in its roll-out, starting slow because "seeing photos and videos from brands you don't follow will be new." The news shouldn't come as a shock as it was only in September that Instagram COO Emily White admitted Instagram would start earning its keep with advertisements. For what it's worth, Instagram wrote its focus will be to show "a small number of beautiful, high-quality photos and videos from a handful of brands that are already great members of the Instagram community." It's a small assurance that you won't see pics from Jumbo's Plumbing Service on your feed, but time will tell. The company noted that similar to Facebook News Feed ads, users will "have control," meaning that if there's an ad you don't like, you can hide it and "provide feedback about what didn't feel right." "We're relying on your input to help us continually improve the Instagram experience," it cooed. And addressing a concern that's beleaguered it for months now, Instagram wrote "[as] always, you control your own photos and videos. The introduction of advertising won't change this." We've asked Instagram for word on whether ads will appear in international feeds and will update this story if and when we hear back. 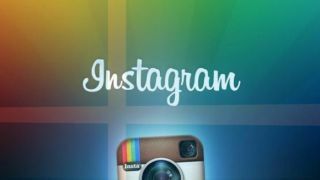 Ads are coming to Instagram, while Windows RT may make a comeback at Dell.